This is such a beautiful and unique recipie. 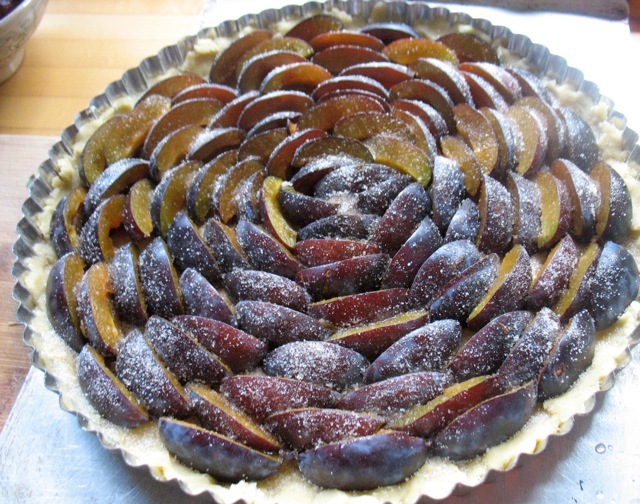 I’ve never heard of a prune tart before but now I’m dying to try it! I loved it! For some goofy reason I got tears in my eyes. So many memories I guess. We just had Datschi for lunch. I told one of my fellows who asked why Henry barked so much that if he could tell me why (the barking) I’d give him a raise. He said he would settle for more dessert. Ah Emily, yes we are a bit unusual when it comes to whipped cream consumption I suppose! So Pretty! I have only had this once and it left a memorable impression in my mind. Thank you for posting this recipe. 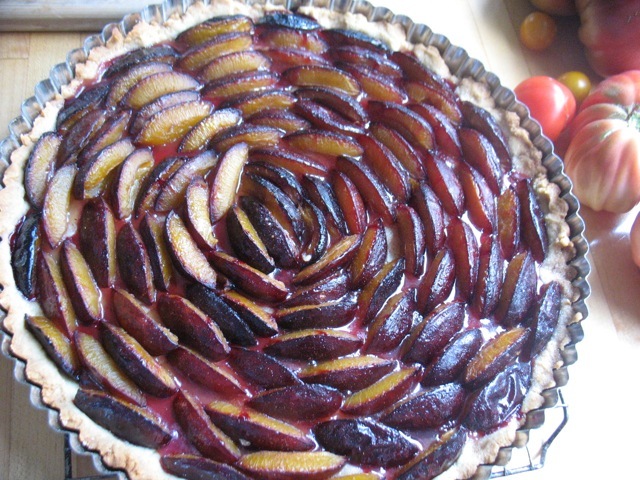 I just inherited a large box of plums and am dying to have this again. Thank you Thank You Thank you!!!! Hello Katherine, I have a freezer full of delicious, frozen, halved and pitted Italian prune plums I picked in September. How do you think those would work, defrosted? I think the frozen ones should work though they will release more moisture. You might add one step which would be to mix ground almonds (which you can do in a little zyliss cheese grater or buy almond flour) with a bit of flour and a touch of sugar or you could grind up amaretti cookies and spread a thin layer of this on the dough before you put the prunes on. that should soak up a bit of the moisture but i might be just fine as is and a bunch of caramelized juice actually would be lovely too! let me know how it goes. I made the full pastry recipe, and two versions of the tart, two days apart. First, I lined the base of the tart with finely ground almond and it was nice but I used a bit too much of the almond. 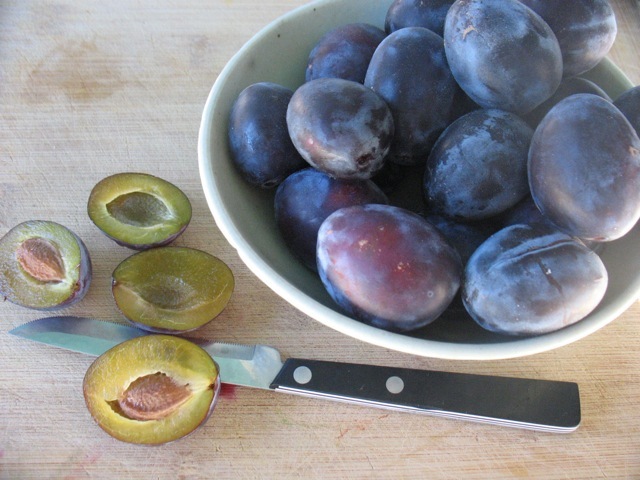 I think the finer, simpler version – accentuating the delicious spiciness of the Italian prune plum essence – was without the almond, and with the defrosted plums, well drained… while the tart baked, I boiled down the plum juice and added it over the top at the end. That is one simple, quick and visually beautiful tart recipe – like a chrysanthemum blossom! Thank you for both the recipe and the suggestions. Oh that sounds wonderful. Thanks for the detailed update. Now I may have to make some version with the plum compote I turned mine excess fruit into in the fall.